I'm back with another sneak peek from the upcoming catalog. 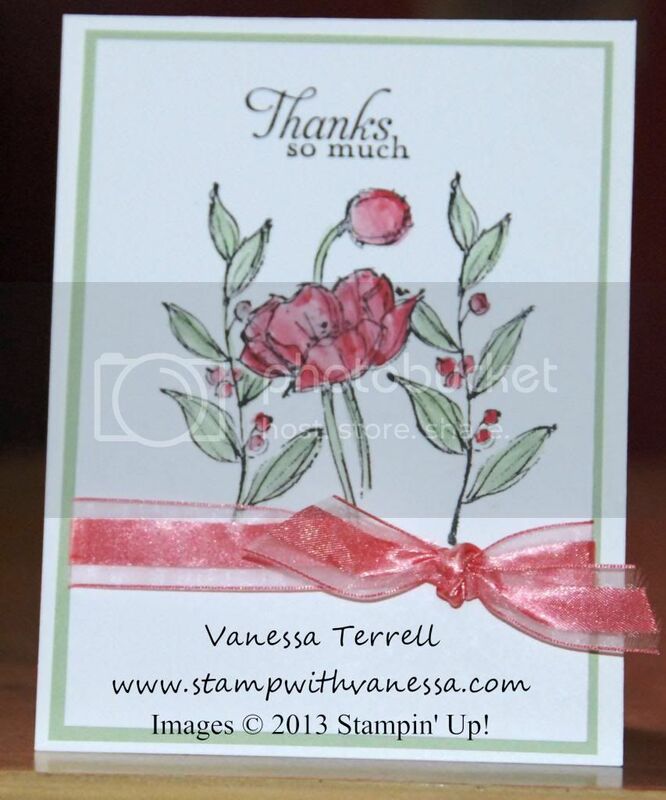 Today I'm sharing a quick card I made using a new Hostess Set called Simply Sketched! I love this set, it is so each to use and the sentiments are great...Thanks, so Much, Happy Birthday Wishes and With heartfelt Sympathy. I'm going to have fun making simple and quick cards with this set. I used the new In Colors on this card...Pistachio Pudding and Strawberry Slush. This set is great for watercoloring. Here is what I came up with! Good thing I still had some ribbon left over from when I colored some about about a week ago, because I needed some for this card! I really liked how this turned out.